Episode 14 - John and Paul hop in their DeLorean and head back to the 80's. What were your favorite cartoons and toy lines from back in the day? Hit us up and share! 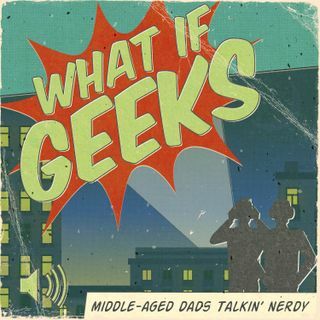 What If Geeks is owned and hosted by John Petit and Paul Seago. ... See More Other than our children’s YouTube channels, we do not own any of the material we speak about. We do not speak for any corporation such as DC, Warner Bros, Walt Disney, Marvel, Lucasfilm or a multitude of others that we may speculate on. We discuss only public knowledge topics and do not profess to know anything from behind the scenes anywhere except in our own productions.